Ransomware has become the scourge of the Internet. It’s so common that it no longer makes the news. In fact, it’s predicted that a business will fall victim to a ransomware attack every 14 seconds in 2019. The evolving nature of the threat makes malware attacks very difficult to counter. 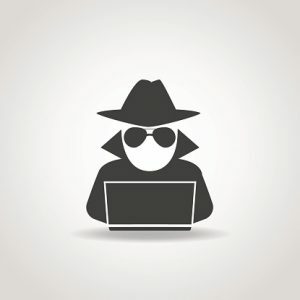 Regardless of the type of malware, they all have the same objective to encrypt or disable access to the files on a computer, or the network it is part of, and then demand payment for their recovery. Overseas, cybercrime labs often have budgets as large as or larger than the total spend of an enterprise level organization’s annual security budget. Security analysts estimate that most hacking related breaches are because of stolen or weak passwords. Other attack vectors include vulnerabilities exposed in a web application, open or insecure network ports and email-based phishing. These are all sobering data points, whether you’re a large corporation or SMB. The impact of breaches can be highly damaging – monetary payments, lost data, productivity impacts, system downtime during recovery, just to name a few. Although the different kinds of malware attacks have existed for years, the success of the latest generation is due in part to improved techniques. Machine learning and other heuristics help hackers learn about network and people patterns. This is very different from prior automated or cryptologic based methods because skilled IT resources and improved security software can detect and disable, or even prevent these kinds of attacks outright before they cause damage. Ransomware falls into the broad category of malware. The definition of malware is to damage or disable a computer or an entire system. In one scenario of ransomware, the attack disables access to systems by encrypting files. The attacker then demands a ransom in exchange for a key to decrypt the files and regain access. Another scenario in the Ransomware attack is to simply lock one or more systems, so they can’t be accessed. Unfortunately, there’s no single solution that can stop this type of attack, despite many claims to the contrary. The first is to pay the ransom which most all security experts advise against. This could make an organization a repeat target. The second, more realistic option is to use a multi-layered approach to make it more difficult for Ransomware and other attacks to succeed. Implement a security management practice that includes regular patching of all systems, services and software, including network device firmware, like IP security cameras, printers and scanners. Proactive measures reduce the likelihood of an attack being successful but there is no guarantee. Ransomware authors continue to get smarter, and their attack software usually include routines to find and delete or encrypt backups along with primary data. This means organizations can’t rely solely on backups as a response tactic, without taking additional security precautions and measures. Given how many ransomware attacks succeed, educating employees to detect phishing and related attempts to penetrate the network is a must. Strengthening your security management practice with added employee training will help minimize your exposure to malware and maximize your response management. If you’re wondering where to start, SOS can help. Reach out to us today. There are few organizations that do not hold some kind of sensitive data, be it something as simple as customer addresses for delivery, or something as serious as patient medical records. Breaches of this data are happening every day, and not knowing the consequences of a successful breach is not a valid defense in modern times. If a breach occurs in an industry with any government oversight at all, any organization found to be careless or deviating from industry best practices on security can face substantial penalties, not only reputational damages but monetary fines as well. On the other side, maintaining proper security protocols can open up a number of business opportunities. For example, a start-up engages in a partnership with an established company that needs to ensure its new vendors are taking security seriously as to not jeopardize their own operations. This is but one case where failure to adhere to security standards can impact your organization. 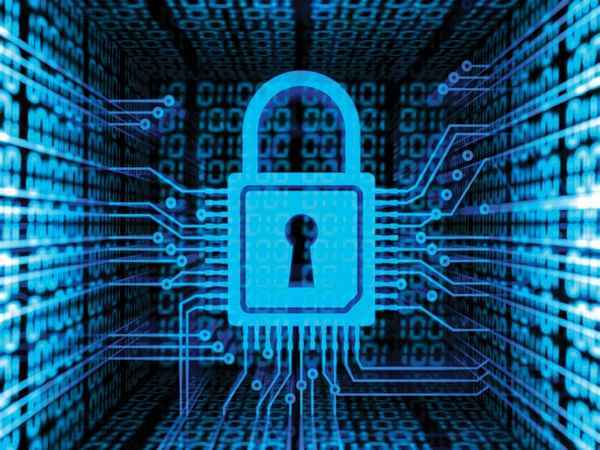 For whatever reason a company would need to encrypt their data, it may seem like a daunting and intensive task, however critical it may be. It doesn’t have to be difficult at all. Ideally, encryption functions best when it is absolutely unobtrusive and invisible to daily users. While large company data breaches make the headlines and cable news, it’s often small and medium businesses that are harmed by these intrusions. Potential fines, loss of reputation and lack of consumer confidence can be an often fatal blow to SMBs, whereas larger enterprises can absorb that kind of damage. 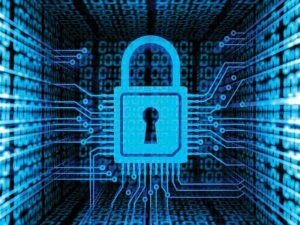 When taking the potential loss into account, encryption and data security is critical in the small to medium business space. There are many technical methods of data security, and while these are essential, they work best in tandem with employee awareness and training. Employees can minimize the organization’s risk profile and even limit the data’s exposure to the world at large, just by being aware of best practices and the consequences of mishandling. Developing non-obtrusive methods of data encryption & security are imperative, as humans naturally seek out ways to be most productive, even if it means cutting corners for access to critical data in the name of efficiency. These process shortcuts can sometimes become the very method of attack used by criminals to steal data, or insert malicious programs behind firewalls. Common issues that occur are passwords written and left in proximity to the PC or device they belong to, or removing hardware from a secured facility to an unsecure one, and not preventing access by unauthorized persons, such as ex-employees or vendors. Recognizing your vulnerabilities through an objective assessment can go a long way in minimizing your risk profile and ensuring that even in the event of a breach, your organization has taken great care in adopting standard practices to ensure data security is taken seriously. Contact the professionals at SOS if you believe your organization can benefit from an in-depth review of data security practices. Cybercrime and Real World Terrorism: Strange Bedfellows? We know the impact of cyber-crime as it relates to every day users. Credit card theft, sensitive personal data stolen, and much more have been attributed to so-called ‘cyber terrorists’. Is it then possible that more ‘conventional’ terrorists would be interested to use similar tactics? 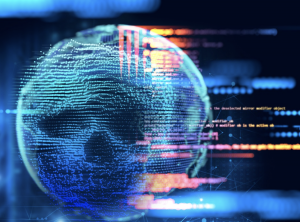 This may sound extreme, especially due to the limited and reversibility nature of the impact of certain cybercrime tactics and the precautions that forewarned businesses and organizations can take. However, it is difficult to brush off the threat in an external inspection of both the dynamics and methodology of these types of attacks, and the tools used to perpetrate them. Conventional terrorists–regardless of ideology have engaged in the digital space for any number of reasons, most having been born of necessity. For things like covert communication, recruitment, propaganda, transferring illicit funds undetected, and, most importantly, sharing amongst a geographically dispersed command structure. Information disseminated in the cyber space also includes target assessments for real-world terrorist acts, and tactical assignments. However, this could change with increasing technical competency and capability for network-based attacks and growing number of bad actors in the online community. Opportunity for online interaction and training has compensated terrorists the loss of physical space for such activities on the ground. Current social networking tools such as Facebook, Twitter, and Instagram, among others, provide platforms not only to share information and expertise but also practice it in virtual space. It’s simply a foregone conclusion that funding terrorist acts, either directly or via support and logistical infrastructure, through cybercrime and ransomware is ongoing. Ransomware tools like WannaCry and others have the potential to reduce the opportunity cost for conventional terrorist attacks as well. Al Qaeda and the Islamic State of Iraq and Syria (ISIS) have demonstrated much interest along with some capability to develop and use chemical, biological, radiological, or nuclear weapons (CBRN), and while there has been no successful mass casualty terrorist attacks involving them, there is the concern that these groups might lose control over the consequences of such an attack, in such that they could affect the members of the communities they are purportedly fighting for. However, use of weapons of “mass disruption” like ransomware as against weapons of “mass destruction” will enable terrorists to cause large-scale damage (loss of data and equipment), chaos (in hospitals and other public utilities) and fear, while simultaneously filling their coffers. Imagine the impact if terrorist groups like Al Qaeda or ISIS were involved in WannaCry attack. For terrorists, it’s a win-win tactic as they can achieve almost similar attention and without firing a shot or exploding a bomb, all without garnering the attention of conventional law enforcement and military tactics used in stopping them. If you are concerned about your organization’s susceptibility to cyberattack, contact us today. WannaCry was a ransomware worm that spread rapidly through across a number of computer networks in May of 2017. 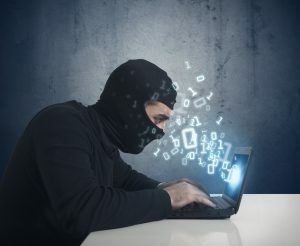 While infecting a target computer, it encrypts the contents of the hard drive, denying access to the user, then demands a ransom payment, in the form of untraceable bitcoin, in order to restore access. WannaCry arrives on the infected computer in a self-contained program that extracts the other components embedded within itself, which include the encryption keys, and a copy of Tor, a dark web browsing tool. The program code was easy for professionals to analyze. Once launched, WannaCry proceeds to encrypt files in a slew of important formats, ranging from Microsoft Office files to MP3s, then displays a ransom note, typically demanding $300 in Bitcoin to restore access. The initial spread of WannaCry was particularly noteworthy, in that it struck a number of high-profile & critical systems, such as the National Health Service in the UK, Nissan Automotive’ s manufacturing facilities in the UK, the University of Montreal, Boeing Commercial Airplanes in the US, and PetroChina, just to name a few. Victims were advised against paying the ransom demands, as the attackers were not restoring access after the ransom had been received. After the initial attack, payments totaling $130,635 USD were reported to the bitcoin wallet assigned to the ransom payments. The last week in March 2018, Boeing Aircraft was hit by an evolved version of WannaCry, which is incredibly surprising, given the scope of last year’s initial attacks and the notoriety they gained. The vulnerability used by WannaCry was reasonably easy to patch and correct, so why did a Fortune 100 company with a massive and competent IT staff fall victim to it a year after Zero Day? It seems security patching is still an overlooked practice. It’s routine, time-consuming and basic, but very important, considering that known vulnerabilities are still used in attack exploits up to 10 years after they’ve been exposed. Knowing that a solution exists but not implementing the patches and updates needed to close the vulnerability still leaves your enterprise vulnerable to exploitation. Managed service providers are critical partners in your business because you rest assured that all available upgrades and patches for known vulnerabilities are occurring regularly, and in accordance with best IT practices across the board. Business continuity and disaster recovery devices are also part of a mature defense against ransomware. By allowing data from compromised systems to be recovered with minimal losses, you can minimize the impact from attacks of this caliber. SOS Technology Group is always available to assist with implementing these solutions, call us today.